Vintage Japanese Old postcard. Japan. Hibiya Park Tokyo. 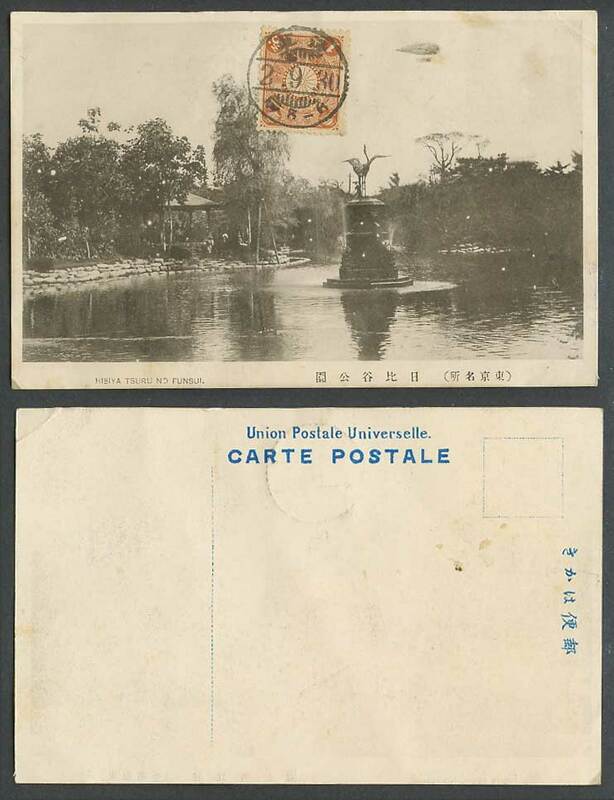 Lake Pond, Bird Crane Statue, Fountain. 東京日比谷公園. 1s stamp on picture side, tied 2.9.30. Not postally used.